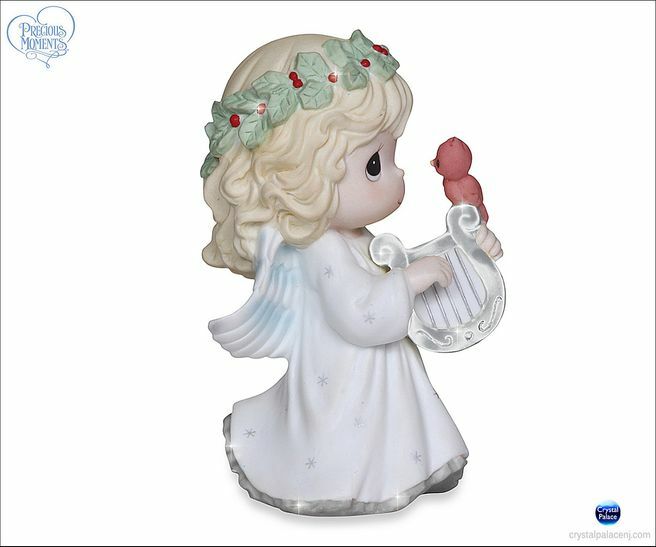 Highly anticipated, the 2013 Annual Angel is sure to enchant your heart and ignite your faith. With a crown of holly upon her head, she strums a heavenly song on her harp, sharing the tune with a bright red cardinal. Porcelain. 4 3/4” H.